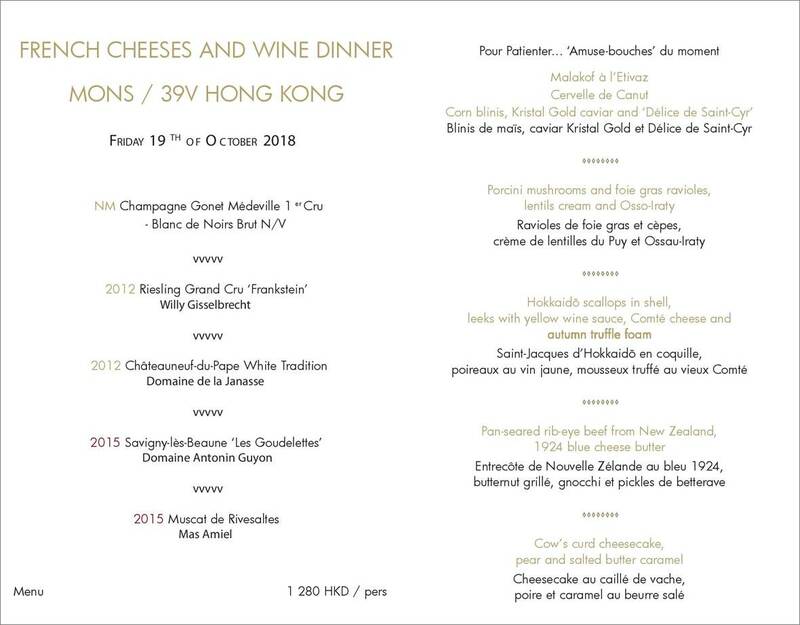 We are delighted to announce our next exciting event: our Cheese-themed dinner with Guest of honour Cheese Expert Mr. Michael Mathier from Maison MONS on Oct 19. Dinner will be hosted at Le 39V Restaurant, the iconic sister-restaurant of Chef Vardon’s Michelin-starred Le 39V Paris. Savour a unique Cheese Dinner exploring the finest French and Swiss artisanal cheeses from MONS with the finest innovative French Cuisine of Le 39V, while indulging the view at the top of Hong Kong’s tallest tower ICC. Each course will be paired with our selection of wine. Guest Mr Michael Mathier – Cheese Expert from Maison Mons, France. When Friday 19 October – Reception at 7:30pm, dinner starts at 8:00pm. 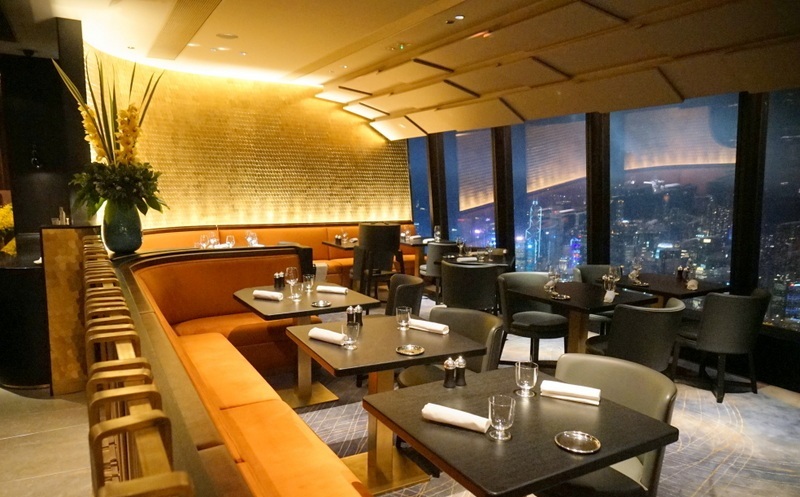 Where Le 39V Restaurant – 101/F ICC, 1 Austin Road West, Tsim Sha Tsui. Price $1,280 per person + 10% service charge. FICO guests enjoy 20% discount: $1,024 per person + service charge. Limited seats, assigned on first-come-first-served basis.